Last June, I was part of a small group of students from Wake Forest University who embarked on a three-week service trip in Nicaragua, accompanied by professors Steve Giles and Gary Miller. We laid the groundwork for this experience on our campus in Winston-Salem, NC, where we spent two weeks in health and communications classes. This helped us understand the health practices often followed by people in an under-resourced country, and it gave us the tools to teach basic preventive health care to local families. 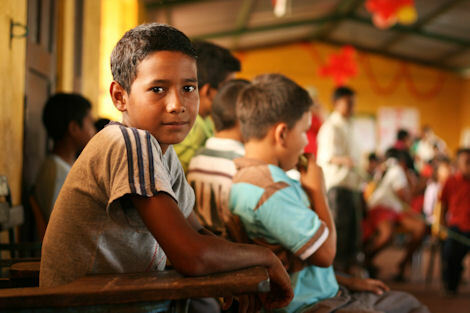 Through our travels and our volunteer projects with nonprofit organizations already in place in Nicaragua, we learned about the social systems and lifestyles of the Central American country. We spent a large portion of our time working with Amigos for Christ in the city of Chinandega, where we assisted staffers at a health clinic and shared lessons in hand-washing, a simple but effective measure for preventing many health problems. We also interacted with the families of La Villa, a community created for people who once lived in a local garbage dump. 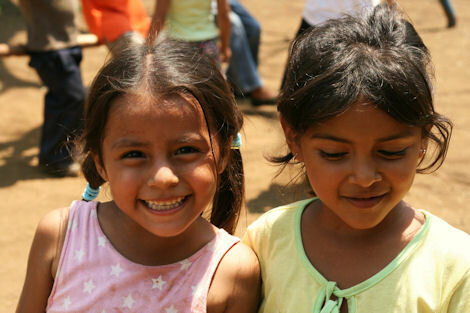 We traveled to the capital, Managua, to help an organization called Nica Hope. Here, we worked at a local school, laying concrete for a sidewalk, painting doors and planting greenery. And, at one of that city's dumps, we saw firsthand how many Nicaraguans forage daily for "valuable" trash. It was something that none of us would soon forget. Our time in Nicaragua was more than just a service trip -- it was an eye-opening experience. We were exposed to lifestyles that seem unimaginable back home, and we made connections with families and children that will last a lifetime. The following are photos from the journey. 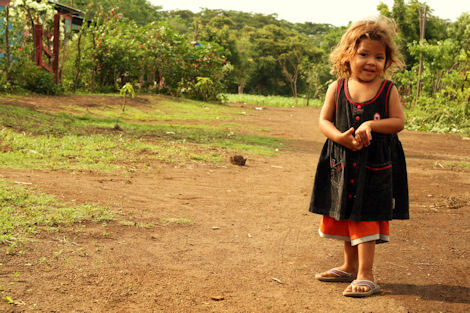 Natalia, a young girl who lives in La Villa with her mother and five sisters, pauses for a picture near her home. Wake Forest students Jessica Cain and Emilee Malvehy interact with a special-needs child at an orphanage in Chinandega. The orphanage is run by a group of compassionate nuns who are devoted to caring for disabled children and adults. 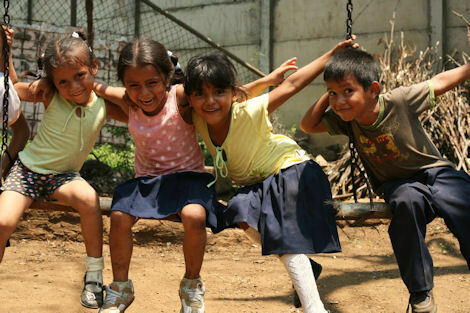 Four children from the Wisconsin School in Managua play on a swing made of a large wooden stick and chains. Eddie, a third-grade student, waits patiently for his chance to hit the pinata at a birthday party at La Villa. A smiling young boy at the Chinandega orphange plays ball with a Wake Forest volunteer while Molly Carnahan and Aiden Giles watch from the sidelines. At a school in Managua, Wake Forest graduate student Jason Archer and senior Jessica Cain apply a fresh coat of paint to a metal gate. 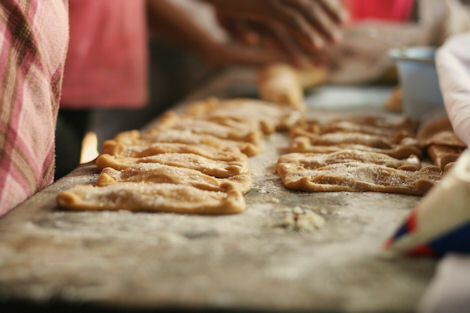 A woman at La Villa is known for her superb homemade pastries, called "dulces." She spent time with the Wake Forest students and showed them how to make the sweet treats. Two friends pose for a portrait outside their school. There are two portions to the grant: a need-based scholarship to help students with travel expenses and a photojournalism assignment that pays a stipend. The student awarded the photojournalism assignment for this service project, Katelin Kennedy, traveled to Nicaragua in summer 2009. The information in this story was accurate at the time it was published in March/April 2010.